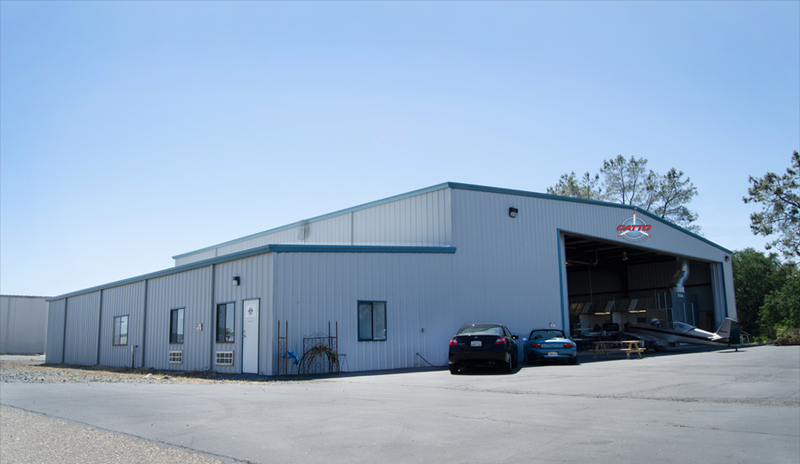 Catto Propellers has recently moved to a new 10,000 square foot hangar and offices located within the Jackson Westover Airport (KJAC) within the foothills of the Sierra Nevada Mountains in Central California. Purchased January 15, 2014, founder Craig Catto says, “we are now almost 3 months into the move and with the new facility we have room for specific manufacturing stations that will not only add accuracy to our propellers, but also will increase production”. With the extra and welcomed space, a second 10,000 pound 3D router (Computer Numerical Control / CNC) was purchased. As the new facility came up to speed with the second CNC, the first CNC continued production as the second was added. The old facility is now empty with the exception of the move of the first CNC to the new facility. Catto Propellers expects the move to be completed by the end of May. The new facility is set up perfectly for our operations. The hangar is complete with commercial lighting, full span overhead heaters, a 400 square foot industrial paint booth, and an abundance of power to operate both CNC’s. Attached to the hangar are offices, as well as rooms to provide a separate environment for balancing and packaging. Catto Propellers also has 20,000 square feet of its own aircraft ramp space, and customers are welcome to fly in anytime. See more here.